2016 has been an eventful, successful and sometimes exasperating year for all our Sydney Wildlife rescuers. We received in excess of 13,000 calls - many of which were received after hours to which our poor volunteers were dispatched at all hours of the night. Sydney Wildlife is made up of a team of volunteers that ensure a rescue runs smoothly - from the very first call taken by our incredible office volunteers - right through to the release of the animal. So many people are involved - the office staff, the rescuers, the carers, veterinarians and staff, our coordinators and species experts. It takes an entire army to protect our wildlife. Summer was all about reptiles - snakes, goannas, water dragons, blue-tongue lizards, turtles - moving from place to place, breeding, babies emerging and getting into weird places and generally scaring the living daylights out of unsuspecting members of the public. There were also many heat-stress events which affected our beautiful flying foxes. Autumn brought the crazy storms and many little birds and possums were blown from the trees and freshwater turtles were almost washed out to sea. Our Rehabilitation Facility in Duffy’s Forest bore the brunt of the storms and our aviaries and fences were crushed by fallen trees. The big clean-up took weeks! Kobie Joyce of Echo Property Management and Matt of the Tree Smith were absolutely brilliant and volunteered their time, skills and equipment to come and help us clean up the storm damage. Winter was meant to be our quieter season but as soon as the days became shorter, our nocturnal critters came out earlier and many were being hit on the roads and required late-night assistance. We also attended the Australian Wildlife Rehabilitation Conference in Melbourne over winter. Two of our members - Joan Reid and Bev Young - presented at the Conference and did us very proud. Spring is the season we all dreaded the most… Baby birds, baby possums, snakes emerging… It all happened in Spring! Over-development, new roads, an increase in traffic and changes to our biodiversity laws contributed to an increase in wildlife being displaced, losing habitat and being injured on the roads and getting into strange predicaments. We have been run ragged trying to dart wallabies in backyards that have been displaced by the construction and destruction in Frenchs Forest. Wallabies in backyards trying to escape the bulldozers. In September, we hosted some High School students who were undertaking Work Experience with us. The gorgeous Tiarna McCombe enjoyed a week on the Northern Beaches with some of our volunteers. Tiarna meeting Cloudy the eastern grey kangaroo at our Rehab Facility. Ministers Rob Stokes and Brad Hazzard. The banners for our fundraiser. In November Ernst & Young came to our Rehab Facility and built a brand new shed for us to store all our equipment. They also had a team-building exercise in the afternoon once the shed-building was complete. The Ernst and Young team outside the newly-constructed shed at the Rehab Facility. Babies of every kind rained down on us throughout the year! Ringtail possums, brushtail possums, swamp wallaby joeys, baby turtles, cute little blueys, baby snakes, chicks of every kind, water dragons and cute little flying fox pups. Harry the ringtail possum. Cadel the blue-tongue lizard baby. We incubated a clutch of water dragon eggs which were found in a long-jump pit at Oxford Falls Grammar School. Cute baby water dragons emerged 6 days after we found the eggs. Tiny turtles were almost washed out to sea in the storms. Wallaby joeys were found when their deceased mums’ pouches were checked by our volunteers. Critters in strange places… This boobook owl flew indoors and perched on the railing of a lady’s bed. Isn’t she adorable? Tawny frogmouth rescued from a barbed-wire fence after storms. Dr Howard Ralph with a powerful owl. Dr David Ward with a wallaby joey. We couldn’t possibly achieve what we do without our amazing veterinarians. They are often the first port of call, the renderers of first aid and the drop-off points for baby animals. Some even undertake 3-hour operations on our wildlife to save them - most notably Dr Howard Ralph and Dr David Ward. 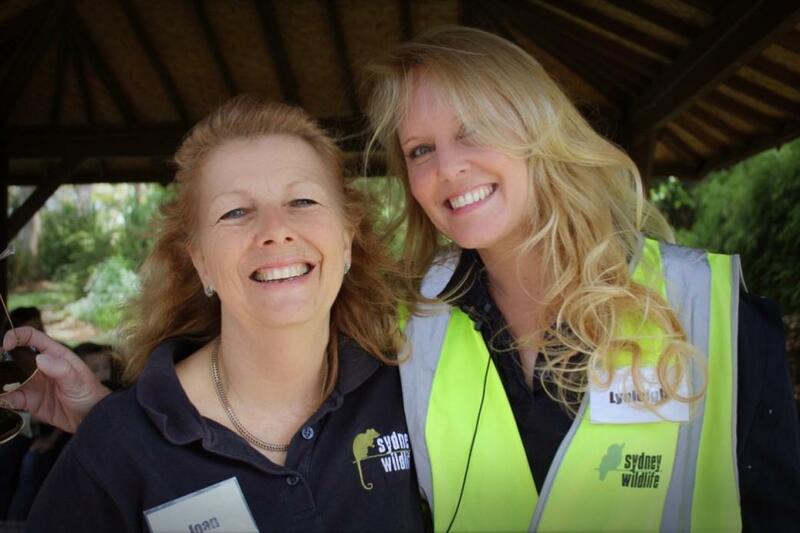 We thank them from the bottom of our hearts for their passion and dedication to our wildlife. And our thanks go out to the many, many members of the public who are the ones that discover the injured critters whilst on their morning walk or on their way to work. Thank you for caring enough to contact us for assistance. We would like to wish you all a very Merry Christmas and hope you enjoy the festive season. We hope for a brighter future in 2017 for all of us - humans and wildlife together.